This is our Fennel Steam Distilled Essential Oil. Herbal Folk Traditional uses for Fennel include digestive aid, expelling phlegm and increase mothers' milk. Fennel benefits the digestive system, respiratory system and female reproductive system! It has a sweet intense anise like scent with earthy undertones. 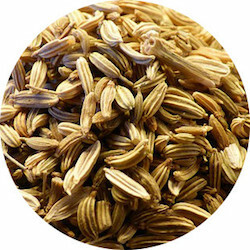 Fennel blends well with Basil, Bergamot, Black Pepper, Caraway, Cardamom, Chamomile, Clary Sage, Coriander, Cumin, Geranium, Ginger, Grapefruit, Juniper Berry, Lavender, Lemon, Lime, Mandarin, Orange (sweet), Rose, Rosemary, Sandalwood and Ylang Ylang. Safety Information: use with caution of avoid while pregnant, in cases of endometriosis, estrogen dependent cancer and with children under the age of 5. Fennel Essential Oil is used in both aromatherapy and natural perfumery. Fennel Essential Oil has the following actions: anti-inflammatory, antispasmodic, anti-stress, antitoxic, carminative, expectorant, galactagogue, lymphatic stimulant and stomachic. Shelf life is 3.6 years or more.